Rita has been practicing law and litigating class actions since 2014. Rita was born and raised in Los Angeles. She received her Bachelor of Arts in English and Sociology from the University of California Santa Barbara and received her J.D. from the California Western School of Law. While attending law school, Rita volunteered as a student volunteer at the Community Law Project, which provides free legal information to low income and indigent communities. 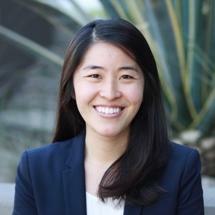 Prior to joining GrahamHollis in July 2017, she worked as an associate for a boutique employment law firm in Los Angeles, representing plaintiffs in discrimination, harassment, wrongful termination cases, and wage and hour class action cases. Rita continues to specialize in employment law, representing plaintiffs in wage and hour class actions, discrimination, harassment, and wrongful termination cases. During Rita’s free time, she enjoys cooking, baking, hiking, traveling, and visiting museums.